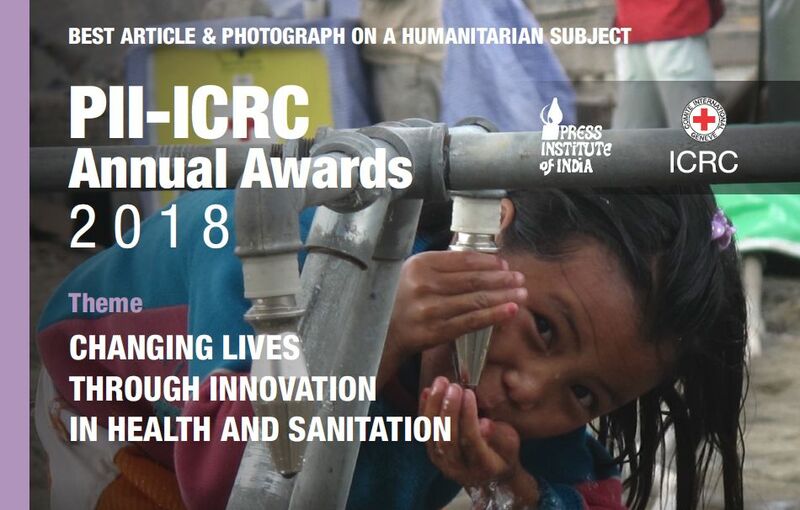 For the first time, the Press Institute of India (PII), Chennai and the International Committee of the Red Cross (ICRC), New Delhi are inviting entries from Bhutan, Nepal and the Maldives in addition to India for the annual awards for best article and photograph on a humanitarian subject. The top three entries in each category will receive INR 1,00,000, INR 70,000 and INR 40,000 respectively. Email your entries to editorpiirind@gmail.com or send them to the Press Institute of India, RIND Premises, Second Main Road, Taramani CPT Campus, Chennai – 600113 by 31 July 2018. The article/photo should have been published in a national or regional newspaper or magazine in India, Nepal, Bhutan or the Maldives between 1 April 2017 and 31 March 2018. An exact English translation is mandatory for all articles printed in regional languages. Only one entry per individual is permitted in either category. Participants will have to submit proof of their entries in the respective newspaper or magazine. The results will be announced in September 2018.